Due to the above properties, N-BK7 Windows can be used to fabricate both optical windows and optical mirrors. It is most often selected due to its relatively low cost, high index of refraction (1.51680 @ 587 nm, yellow helium line) and high transmission between 350nm – 2.5µm. For further technical information, view our N-BK7 Window Data Sheet. While there are plenty of good reasons to choose a N-BK7 Window, it is a very temperature sensitive material and therefore not suitable for applications where it will be exposed to thermal shock. 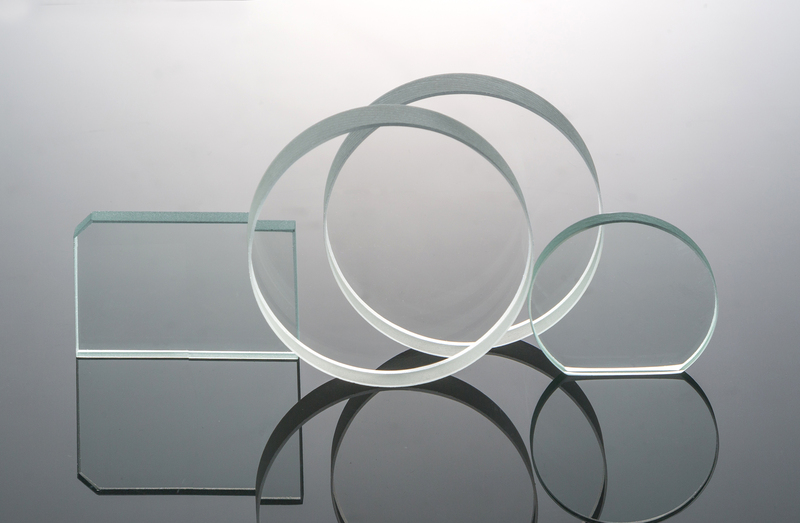 A good, but more expensive, alternative is fused silica which offers a lower coefficient of thermal expansion, a much greater resistance to thermal shock and a broader range of optimal transmission when compared to N-BK7. A good understanding of your application will help you decide if a N-BK7 Window is the right choice. All of Advanced Optics optical windows are manufactured in the USA. Whether you require a single optic or production quantities, let Advanced Optics be your trusted partner – You can depend on our 100% outgoing inspection, on-time delivery and unmatched customer service at competitive prices.